1. What is the difference between the ISM and SSM multicast models? Answer: With the ISM model, the routers in the network maintain source information. However, with SSM the receivers are responsible for specifying the desired source. The receiver application obtains knowledge of the source unicast IP address or URL through methods external to the multicast protocol, such as the user selecting the source from a list of available sources supplied by a web page. 2. How many possible globally scoped multicast addresses are available for ISM? For SSM? Answer: The IANA allocates multicast addresses within the range 232.0.0.0 232.255.255.255 to SSM. For the entire multicast range 224.0.0.0 239.255.255.255, there are 16 * 224 = 16 * 16,777,216 = 268,435,456 possible addresses available. Therefore, to calculate the available addresses for ISM applications, subtract the locally scoped addresses (that is, 28 = 256 addresses for the range 224.0.1.0 224.0.1.255) and the SSM addresses from this number. The result is 268,435,456 16,777,216 256 = 251,657,984. You have to divide this number by 32 because of the 32-to-1 mapping of addresses to Ethernet MAC addresses. The result is 251,657,984 / 32 = 7,864,312 possible addresses available for ISM and 16,777,216 / 32 = 524,288 for SSM. Because multicast applications randomly assign multicast addresses, the chances of having frames with duplicate MAC addresses on an Ethernet LAN are very low. 3. What is the difference between source and shared distribution trees? Answer: With source trees, the source of the multicast stream is at the root of the tree, providing the shortest possible path between the source and receivers of the content. Rendezvous Points are the root of shared trees and often cause the multicast stream to take a suboptimal path to the receivers. 4. How does dense-mode multicast differ from sparse-mode multicast? Answer: Dense-mode routers periodically flood the multicast stream to the entire network, even to last-hop routers that do not have active receivers for the group. Sparse-mode routers send the multicast stream only to last-hop routers that contain multicast receivers for the stream. 5. How do multicast routers route multicast packets downstream? Answer: Multicast routers use reverse path forwarding (RPF) to forward frames to last-hop routers. 6. How do multicast routers route multicast packets upstream? Answer: For forwarding PIM Join messages up the distribution, instead of checking to see if the source of the packet (the last-hop router, in this case) is reachable from the RP interface using RPF, the router checks its outgoing interface (OIF) list. If the router receives the packet from an interface in the OIF list, then the router forwards the packet out its RPF interface. For forwarding multicast stream data up the distribution tree, you need to configure Bidir-PIM. 7. What is the difference between Auto-RP and BSR? Answer: Auto-RP distributes the RP candidate information using dense-mode multicast, forcing you to enable PIM sparse-dense mode on all Auto-RP routers. BSR uses a hop-by-hop method, allowing you to configure only PIM sparse mode on all BSR routers. 8. What are the differences between Auto-RP, BSR, and Anycast RP? Answer: The Auto-RP and BSR protocols do not allow you to configure load-balancing of streams within the same group between multiple active RPs. Anycast RP allows per-group load balancing. 9. What are the differences between CGMP and IGMP snooping? Answer: Both CGMP and IGMP snooping provide you with the ability to restrict multicast traffic in a Layer 2 switched network to only those ports with active receivers attached. However, you must configure CGMP on the router to signal to the switch which ports to forward the traffic to. You do not need to configure IGMP snooping on the router because the switch inspects the IGMP messages directly. 10. What tools can you use to mark IP precedence and DSCP? Answer: You can mark DSCP with class-based packet marking only. You can mark the IP Precedence of a packet using Policy-Based Routing, QoS Policy Propagation via Border Gateway Protocol, Committed Access Rate/Class-Based Policing, Network Based Application Recognition, and Class-Based Packet Marking. 11. If a router has 100,000 concurrent connections on average, approximately how much memory does NBAR use to store information for those connections? Answer: NBAR uses approximately 15 MB of memory. 12. Why is WFQ not scalable to high-speed links? Answer: Because WFQ uses a single queue per flow, the number of required queues would grow too high for high-speed links, and potentially flood the router’s memory. 13. What is the difference between standard WFQ and CBWFQ? Answer: Standard WFQ automatically classifies traffic into flows, and you require only a single interface configuration command (fair-queue). In contrast, CBWFQ allows you to configure classes of traffic and allocate bandwidth to the classes through the MQC. Furthermore, because each flow in standard WFQ is tracked in memory, WFQ is not as scalable as CBWFQ. 14. How many egress queues do Catalyst 29xx/35xx/37xx/4xxx series switches have? What about Catalyst 6500 series switches? Answer: Catalyst 29xx/35xx/37xx/4xxx series have four egress queues. To determine the number of egress queues on your Catalyst 6500 series switches, use the show port capabilities command. 15. What is the difference between traffic shaping and policing? Answer: Traffic policing drops packets when the token buckets are full, whereas shaping queues packets when the token buckets are full for transmission during periods of lower congestion. 16. How does RSVP differ from other QoS congestion avoidance mechanisms? Answer: With RSVP, the hosts signal their QoS requirements to the network. However, with traffic shaping, policing, and BGP policy propagation, you need to evaluate the application’s QoS requirements and configure them on your routers manually. 17. What are the disadvantages of using procedural markup languages? Answer: Procedural markup languages are inflexible, information retrieval is difficult, and they require multiple documents for files that require different formats. Answer: PDATA indicates that the parser should inspect the data that follows for tags. 19. What is the purpose of the Document Type Definition (DTD) file and XML schemas? Answer: You can use DTDs and XML schemas to declare custom elements and define the overall structure and flow of your XML documents. You can then validate your XML files to ensure that they use the valid elements. 20. What are the benefits of XHTML over HTML? Answer: You can specify custom tags using XHTML. Because XHTML forces you to adhere to the strict rules of XML, browsers will gradually become less complex to develop. 21. What are your two options for transforming XML content into a displayable or printable form? Answer: You can transform XML into XHTML or HTML and apply CSS. Or you can transform XML into XSL-FO to generate displayable or printable output using a third-party XSL-FO processor. 22. What is an XML namespace? Answer: Namespaces are tag prefixes that distinguish between elements of the same name defined within different DTDs or XML schemes. 23. What is the benefit of CSS? Answer: CSS is beneficial for rendering a large number of documents into a standard format. CSS also has powerful and intuitive formatting tools that were previously unavailable to you. 24. What is an application layer protocol? Answer: An application layer protocol is any process, either custom or well-known, that has a structured mechanism for communicating between clients and servers. 25. What is the difference between HTTP persistence and pipelining? Answer: Within both HTTP persistence and pipelining, clients open up a single connection for multiple requests-responses, but with pipelining, the client does not wait for the HTTP responses from the server before sending additional requests. 26. What is the HTTP header and value that servers use to issue session cookies to clients? 27. What is the difference between basic and message digest authentication? 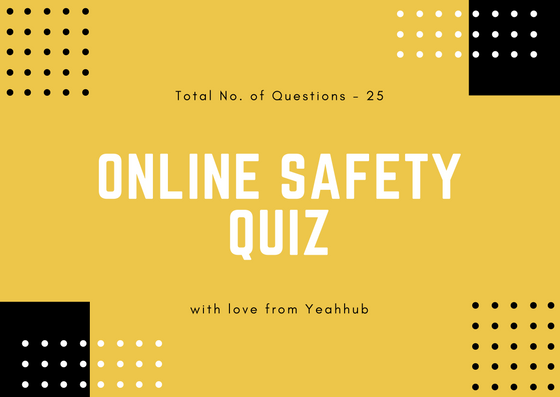 Answer: Basic authentication does not encrypt your username and passwords before sending them on the network your passwords are encoded using Base64 encoding, but Base64 is a two-way encoding algorithm, meaning that you can easily reverse the encoded value. Message digest encoding hashes your username, password, and a nonce value issued by the server. Message digest hash algorithms are one-way, meaning that you cannot obtain the original value when given the hashed value. 28. What is the difference between explicit and implicit cache controls? Answer: Implicit cache controls are the responses sent by origin servers to conditional requests from caches. Explicit controls are sent by the origin servers to caches to control the way that the caches store and yield content. 29. List the three types of security schemes and the available algorithms that PKI systems commonly use. Answer: Public key algorithms PKI uses Digital Signature Algorithm (DSA) and Rivest Shamir Adleman (RSA) to encrypt a random number between client and server used to generate a bulk encryption secret key. Secret key algorithms PKI uses Data Encryption Standard (DES), Triple DES (3DES), Rivest Cipher 2 (RC2), and Rivest Cipher 4 (RC4) for encrypting bulk data with its secret key. Hash key algorithms PKI uses Message Digest 5 (MD5) and Secure Hash Algorithm 1 (SHA-1) for integrity checking during SSL sessions and for authenticating certificates. 30. How do Certificate Authorities (CAs) generate digital signatures for signing a server’s certificate? Answer: The CA creates a digital signature by first computing a hash on the contents of the certificate. The CA then encrypts the hashed value using its private key to produce its digital signature.